Pranjane, Yugoslavia, to Bari, Italy. South Side native George Vujnovich, 93, appeared at a ceremony in New York yesterday to accept an award as a hero in World War II's Operation Halyard. Few have, despite the release last year of "The Forgotten 500," the first book about the daring mission to rescue 500 downed airmen in occupied Yugoslavia. Mr. Vujnovich, a Pittsburgh boy who became head of the Office of Strategic Services in Bari, Italy, organized what has been called the greatest air rescue of the war. In the summer of 1944, U.S. bombers targeted the Romanian oil fields in Ploesti that supplied the German war machine. They flew from Italy and across Yugoslavia to get there. But Luftwaffe fighters and flak from anti-aircraft guns took a fearsome toll, and many shot-up planes never made it back. Some 1,500 crewmen had to bail out over Serbia, trapped behind enemy lines and dependent on villagers to hide them from the Germans. 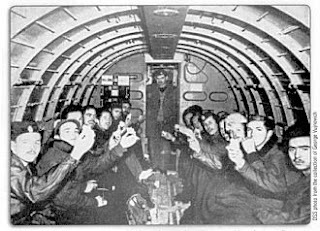 Mr. Vujnovich's team of agents, including a former Pittsburgh Steeler from Johnstown and a crack radioman from Toledo, Ohio, worked with Yugoslav guerilla leader Gen. Draza Mihailovich to airlift 512 men from a makeshift runway carved on a mountaintop. "We didn't lose a single man," Mr. Vujnovich said last week from his home in Jackson Heights, N.Y. "It's an interesting history. Even in Serbia they don't know much about it." The reason for such obscurity is rooted in the politics of Yugoslavia, which became a communist state modeled after the Soviet Union and run by Josip Broz Tito. Gen. Mihailovich and his Chetniks, who supported the abdicated Serbian monarchy, were the archrivals of Marshal Tito and his Partisans. But the Allies needed the support of Joseph Stalin, whose forces were bearing the brunt of Adolf Hitler's aggression. Influenced by communists who said that Gen. Mihailovich was a Nazi collaborator, the British and Americans sided with Marshal Tito and withdrew support for Gen. Mihailovich, according to Gregory A. Freeman, author of "The Forgotten 500." In 1946, despite protests from American airmen who said the Chetniks had protected them, Marshal Tito's government executed Gen. Mihailovich. The story of the mission was suppressed under the Tito regime. "The communists were in control of Serbia from 1945 to 1995. That's 50 years, and any mention of Mihailovich was a no-no, and so were any feats of bravery and escape and saving of airmen," said Mr. Vujnovich, who graduated from Ambridge High School in 1933. "What aggravated me more than anything else is that we couldn't get the truth out." In 2004, Mr. Vujnovich traveled to Belgrade with Art Jubilian, 85, the Toledo radioman, and two other veterans for the 60th anniversary of Operation Halyard. They visited the village of Pranjani, where a plaque was unveiled on the site of the old airfield. This summer in Ohio, Mr. Jubilian was honored for his role in parachuting into Yugoslavia to help organize the rescue. Joining him was a local airman, Carl Walpusk, 84, a former state trooper from Moon. And yesterday in Astoria, N.Y., the Virginia-based OSS Society paid tribute to Mr. Vujnovich and other veterans of the OSS -- the forerunner of the CIA -- as part of a ceremony honoring U.S. agents who helped the Greek resistance. Mim Bizic, 67, the unofficial historian of the Serb National Federation in Pittsburgh, said Mr. Vujnovich deserves every award he gets. "He was the point man," she said. "This is such an interesting part of history that nobody knows about. I love it." Mr. Vujnovich was born to Serbian parents in 1915 in a section of the South Side dominated by Serbs. He grew up speaking Serbian and English. When he was 14, he moved to Aliquippa and two years later to Ambridge. After graduating from high school, he worked at a Heinz vinegar plant for $1 a day. In 1934, he left for college in Belgrade on a scholarship from the Serb National Federation. He studied medicine and met his future wife, Mirjana, a teacher. After a second meeting in 1939, they became a couple. They spent two years as carefree university students, but it all changed in 1941. Mr. Vujnovich witnessed the April 6 bombing of Belgrade by the German Luftwaffe. Running for his life, he saw a streetcar obliterated by a bomb. "The streetcar and the dozens of people inside exploded in a bloody mess of body parts and metal, limbs flying through the air and landing all around," writes Mr. Freeman in "The Forgotten 500." The book recounts numerous escapes as the couple tried to flee Yugoslavia in the ensuing weeks. Finally they managed to board a Lufthansa flight to Bulgaria. Mirjana did not have a passport. But her seat mate on the flight was Magda Goebbels, the wife of Joseph Goebbels, Hitler's minister of propaganda. Mirjana had been airsick and Mrs. Goebbels had showed her sympathy, patting her hand gently. When the plane landed and an officer asked for passports, Mrs. Goebbels dressed the man down, saying, "She's sick. Help me with this woman or you will hear from me!" They made it to Bulgaria. After an odyssey that took them to Turkey and Jerusalem, they ended up in Cairo, only to find the city in a panic because of the advance of German Field Marshal Erwin Rommel. At a church in Cairo, Mr. Vujnovich met George Kraigher, a Serb who was head of Pan American World Airways. He offered Mr. Vujnovich a job as assistant airport manager in Ghana. Mirjana took a job at the Yugoslav embassy in Washington, D.C. 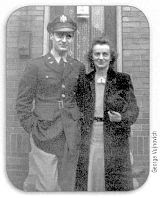 When Pan Am was militarized for the war effort, Mr. Vujnovich accepted a commission as a second lieutenant and took charge of an airbase in Nigeria. One day, two OSS men visited and asked him to sign up. After passing a final exam in which he infiltrated Baltimore shipyards to ferret out secret ship-building information, he became the operations officer stationed in Bari, Italy. By then, Gen. Mihailovich had been sending telegrams to alert American authorities to the presence of downed U.S. airmen in his territory. One arrived at the Yugoslav embassy. Mirjana wrote to her husband about the plight of the air crews. He enlisted the help of Gen. Nathan Twining, commander of the 15th Air Force, to send in C-47 transport planes under the noses of the German occupiers. "I saw Twining and he thought it would be a good idea," Mr. Vujnovich recalled. "He said, 'Yeah, I want my men out of there.' "
The lead OSS field agent, the late George Musulin, was a former tackle on the University of Pittsburgh football team who played for the Steelers in 1938. He had parachuted into Yugoslavia in 1943 and made contact with Gen. Mihailovich. After the Allies cut ties with the guerilla leader, Mr. Musulin had been pulled out of Yugoslavia at the insistence of Winston Churchill, a Tito supporter at the time. But in Bari, he told Mr. Vujnovich that Gen. Mihailovich and the Chetniks were hiding the airmen from the Germans and that about 100 of them were near the general's headquarters in Pranjani. The rescue plan called for building an airstrip, without tools and under the threat of German discovery. The Chetniks would continue to herd in downed airmen. Mr. Vujnovich assembled a team of agents to parachute in and lead the effort. He wanted to go himself, but he received a telegram, signed by President Roosevelt, that said, "Former naval person objects to George Vujnovich going into Mihailovich's headquarters. Therefore he will not be sent." The "former naval person" was a code name for Churchill. The first OSS team, including Mr. Musulin and Mr. Jibilian, jumped on Aug. 2, 1944, met with Gen. Mihailovich and got to work directing the airmen to finish the airstrip. Because of the terrain, it would be only 700 feet long, barely enough for a C-47 to use. On Aug. 9, a herd of cows fortuitously sauntered onto the completed strip just as German planes flew over. The pilots left, apparently thinking the runway was a farmer's field. That night, four C-47s made a harrowing landing, picked up loads of men and took off, barely clearing the treetops. More planes came the next morning, escorted by American fighters. A total of 272 airmen had been rescued in two days. Over the next six months, another 240 made it out. Mr. Vujnovich is especially proud that no one died in the mission. But he still gets agitated at the aftermath. After the war the Tito regime indicted Gen. Mihailovich, once named Time magazine's "Man of the Year" for resisting Hitler, on charges of treason. Veterans of Operation Halyard protested, to no avail. Among them were Mr. Walpusk and another state trooper and former airman, the late Paul F. Mato of South Connellsville. In a Pittsburgh Sun-Telegraph story, both said the Chetnik leader "is getting a raw deal from the Allied nations." Former airmen chartered a DC-3, stenciled "Mission to Save Mihailovich" on the fuselage, picked up colleagues in Detroit, Cleveland and Pittsburgh and flew to Washington to make their voices heard. Gen. Mihailovich was executed by firing squad July 17, 1946, and buried in an unmarked grave. Two years later, after lobbying by Dwight D. Eisenhower, President Truman posthumously awarded him the Legion of Merit. But according to "The Forgotten 500," it sat in a State Department drawer for nearly 20 years until a Chicago congressman, Edward Derwinski, found out about it in 1967 and insisted the text of the citation be made public. The medal itself was not delivered until 2005, when Mr. Vujnovich, Mr. Jibilian and other veterans personally presented it to Gordana Mihailovich, the general's daughter. "The next day in the papers, a so-called historian of the communist Partisans said it was all a lie. He said the Partisans saved 2,800 airmen. There weren't even that many airmen in Yugoslavia. They could provide no names. We have the names, dates, ages, everything," Mr. Vujovich said. "I don't get angry anymore. I think it's silly and stupid. Everything was covered up from beginning to end."